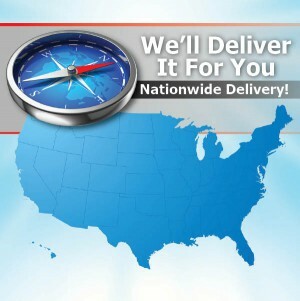 Texas Custom Trailers offers nationwide trailer delivery anywhere in the country. We make shipping your trailer simple and easy! Although we love to see you pull out our front gate with your new trailer in tow, sometimes it makes more sense to have it shipped. You do not have to come to Decatur TX to buy a trailer. We will arrange the shipping to your destination direct from the factory or our location. This can save you time and money! Once a trailer is built, paid for, and ready for delivery your trailer will be on its way to you within 7 business days. In most cases with 3 to 4 days. Shipping rates are based on actual mileage one way. Call 940-62-2100 for a quote or to schedule nationwide trailer delivery today!